Here is an essential set of 12 patterned kraft paper backgrounds plus a BONUS sheet of plain kraft paper. Patterns include polka dots, chevrons, diagonal lines, grids, and more. 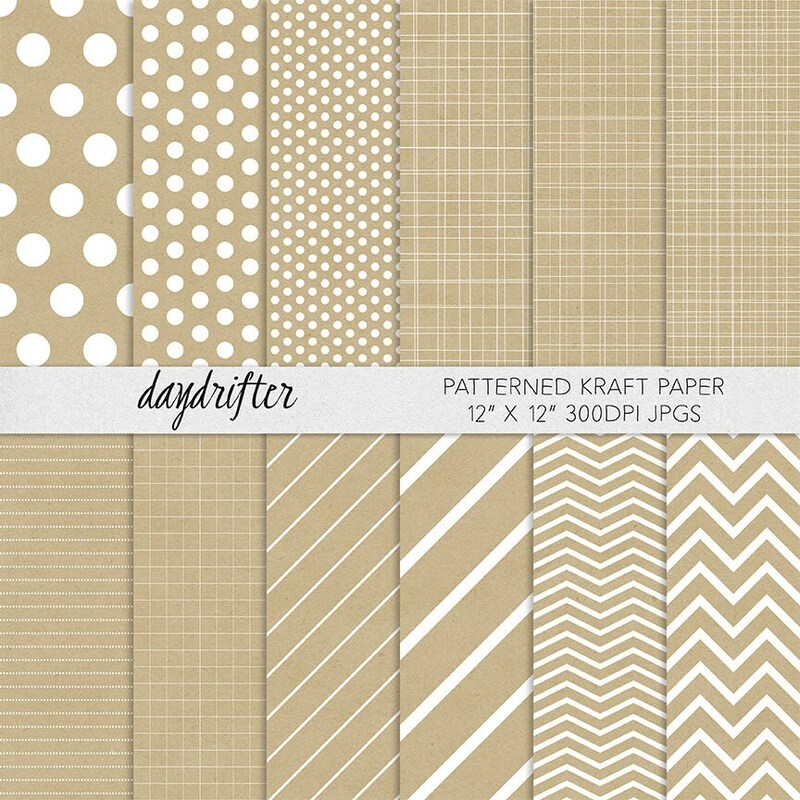 Use these papers for your digital scrapbooking pages or print them to use in your hybrid projects. This set includes 13 high-resolution (300ppi) 12"x12" papers in JPG format.